This is a new continuation thread for the Ovulation Test Strips Part 11 peeps, as the original thread has become huge and now has so many pages, it's getting a bit hard to load. Hi, I've been reading this forum the last for couple of days and finally decided to create an account and join you. My husband and I decided to ttc last month after about 8 years of marriage and the first thing he did was to buy an ovulation kit from clear blue (the one that detects up to 4 fertile days I think?). After my period last month I started testing and at the end we only bd once on ovulation day. I know that since we only tried once and this is our first month the chances of getting pregnant are almost none, but we have not stopped thinking about it since ovulation day. I have not had any symptoms at all other than I feel like I feel something like very very very light cramps (so I really think it is all in my head maybe?). We said we were not going to have a pregnancy test until I missed my period but he surprised me with some clear blue early detection pregnancy tests on Tuesday (as part of my birthday gift!). We tested yesterday (9 dpo) and today (10 dpo) and they were both negative so I guess (as we both knew) that this wasn't our month, now it will be a few days until my CD1 on Tuesday, and we'll start again next cycle. Thanks for sharing all your journeys, I thought this would make it worse but it is actually very nice to feel there is a lot of people on the same boat. Thanks MMA, I'm sorry about your mcs, I'm a bit surprised after reading all these posts for the last couple of days by how common they are. I feel women in general are not very open about that topic so you don't really know all this until you are in a website like this one. I feel that sharing those experiences could make other people going through similar things feel less alone, and also normalizing it (I think) could prepare us (the ignorant ones) a little bit. I know it is impossible to not get excited after a positive result but I think it is good to also be realistic. I‘be been reading this thread for a few weeks too. I’ve posted on a few other threads. 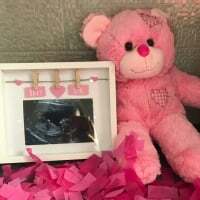 I had a late miscarriage 5 weeks ago at 20 weeks. There was no heart beat at my scan. I was and still am absolutely gutted and I’m still struggling but I agree, not that many people talk about it and it affects so many people. I’m generally starting to feel a bit more positive- ish but still waiting for my af to return so I can start trying again. So sorry to hear your news Emj3 this group certainly has kept me again as have other s since my mc last year , I still have down days/months and coming on here reading and talking to others helps as friends and others around you sometimes just don't get it . That sounds like too much to bear Tracy. Your poor little baby boy clearly tried so hard to survive. It just doesn’t seem fair at all. 2 days at home for my uterus to soften after a drug was given then 2 days in hospital labouring/anti biotic drips etc on the ward with the mums taking babies home oh it nearly killed me inside 😢 The pain eases but I won’t lie in never goes away and I still cry now. He was due April 10th would be 3 in a few days and I’ve lost more after so waiting for my 4th miracle! stay strong Tracy, hopefully we will all get our BFPs soon. just seen the clear blue ovulation test on groupon for 25 pound ( inc delivery) with 20 tests. Is this worth it? Not bought them before. It’s the 4 fertile days one. emj... I wouldn’t recommend the digital advanced (the ones that predict the 4 most fertile days).... s lot of people say they have problems with those ones giving flashing smileys (high fertility) for days and days on end but never get a peak fertility (static smiley). Personally I would recommend the standard clear blue digital (that just predict your 2 most fertile days)... they’ve always worked great for me. wirh regards to how they work, you get a new monitor with each pack so you only reuse the monitor until your pack of 20 sticks is used up then when you get the new pack you use the new monitor bit too.